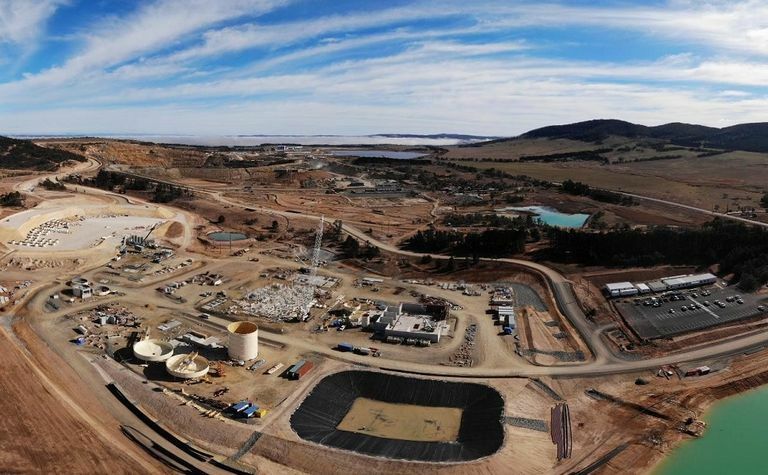 Heron Resources could be timing the take-off of the new Woodlawn zinc-copper mine in New South Wales perfectly. Now only a few months away from production, Heron has been building Woodlawn’s underground mine and surface infrastructure as zinc and copper’s strong recent price surge has paused. However, the outlook for both metals remains extremely bullish. 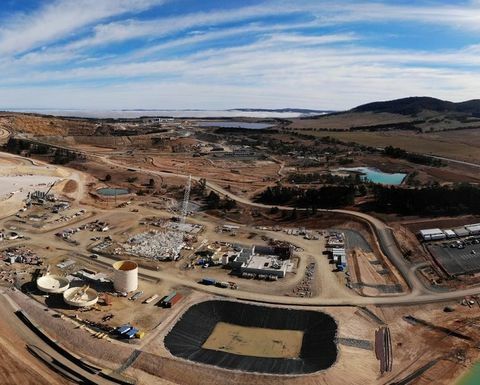 Woodlawn produced sought-after zinc and copper concentrates between 1978 and 1998, and now has at least a decade of production ahead of a new 1.5 million tonnes per annum plant set up to produce about 40,000tpa of zinc in concentrate, 10,000tpa of copper, 12,000tpa of lead, plus gold and silver, from the start of 2019. Heron continues a rejuvenation of the Australian zinc sector that has seen Dugald River commence production and several explorers advance projects. But it stands out in the Australian zinc equity space with its imminent, low-cost production from Woodlawn, that creates a platform for both corporate growth and systematic exploration of the company's 1000sq.km tenement package on the highly prospective southern Lachlan Fold Belt. "We see ourselves as one of the few new zinc operations [worldwide]," says Heron CEO Wayne Taylor. "We've started with a bare paddock and we're now building a state-of-the-art new processing facility with the best bits of current technology included. We see this as giving us the opportunity to do the very best with this orebody." Heron locked down a A$240 million mix of debt, equity and a (silver) stream funding last year to secure a rapid development passage for Woodlawn and had leading EPC contractor Sedgman mobilised and starting construction under a A$107 million guaranteed-maximum-price (GMP) contract in September. Less than a year later Heron has given itself ample runway space for the usual ramp-up of throughput and recoveries at its new plant to ensure Woodlawn starts having a big impact in the market in 2019 and beyond. "We know there will be plenty of focus on Woodlawn's progress once the mill starts to turn," Taylor says. "We think our timing will be right in terms of alignment with the zinc market. "History will judge, but the signs are there that zinc has far from run its race. "We continue to see the stocks draw. Inflows a few weeks ago appeared to unsettle the market a little, but commentary still supports a continuation of the supply deficit. "A key market forecaster has the zinc price peaking in 2019. [Canada's] Teck is on record suggesting there are insufficient new projects committed to cover the forecast demand. "I think outside of Dugald River and Gamsberg [Vedanta Zinc in South Africa], the majority of additional production has come, or is coming, from restarts of old assets that were closed for a reason. These projects typically leverage off low capital requirements and short lead times with existing processing facilities." Zinc prices have come off a 12-month high of US$1.64/lb to the current $1.19/lb, or US$2,617/tonne. Some leading researchers and analysts still have the price reaching significantly higher levels in 2019 and beyond. Heron's 2016 Woodlawn BFS projected C1 costs of only US5c/lb zinc, and C3 costs at 34c/lb, putting the project firmly in the lower half of the global cost curve. With its zinc output set to comprise about half the total payable metal value from the new mine, Woodlawn gives Heron and its investors significant and timely leverage to the price outlook for the metal which is seeing strong infrastructure, vehicle and consumer-product consumption-led growth in demand. China, as ever, is leading the way. The world's biggest vehicle market, for example, had 21% of its 22 million new vehicles sold in 2013 zinc-galvanised. By last year that number had exploded to 29 million vehicles, 35% galvanised, increasing the zinc need in this segment alone to 1.5Mtpa. Meanwhile, though, increasingly volatile world financial and commodity markets - driven by trade-war talk and sabre rattling - is negatively impacting the mining sector's ability to fund new capital intensive projects, particularly non-brownfield projects, "unless you have a balance sheet to put against it", says Taylor. This can only mean fewer new zinc projects get out of the starters' blocks in the immediate future. Woodlawn, a high-grade volcanogenic massive-sulphide deposit in a district that is still significantly under-explored compared with other world-class VMS camps such as Golden Grove and Rosebery, had a good first life that ended early in 1998 due to low metal prices of the time and some corporate misadventure on the part of owner Denehurst. But the legacy is positive for Heron, which has leveraged Woodlawn's fully permitted status (to the end of 2034) and quality local and regional infrastructure to optimise development timelines and costs, and projected opex. 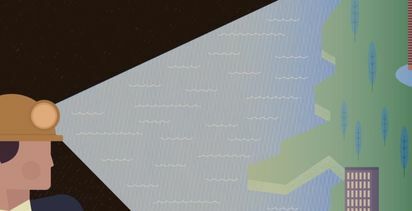 It has operational flexibility from being able to mine from underground and historic tailings reclamation areas, which also reduces operational risk. And the company has a high level of confidence, too, in exploration aimed at extending both near-mine, and regional known mineralisation. It gets to apply the lessons learned from 20 years of historical production, further eliminating ‘greenfield' unknowns, and maximising its own operational effectiveness. "We don't believe the market has placed any value on the strategic regional ground holding we have over an area that has already delivered highly prized high-grade polymetallic mineralisation," Taylor says. "Clearly our primary focus at the moment is the delivery of Woodlawn, however, a well-funded regional exploration continues to progress. "It's probably fair to say we are still at the early stages on the regional work and we are really excited about the ground we hold. "Internally we are working through both prospect generation as well as prioritised fieldwork on a couple of our more advanced prospects - most notably Currawang and Peelwood." Heron has also continued to report strong ‘in-mine' drill results that can be expected to multiply when steady-state mining kicks in and more attention is turned underground to resource-extension. 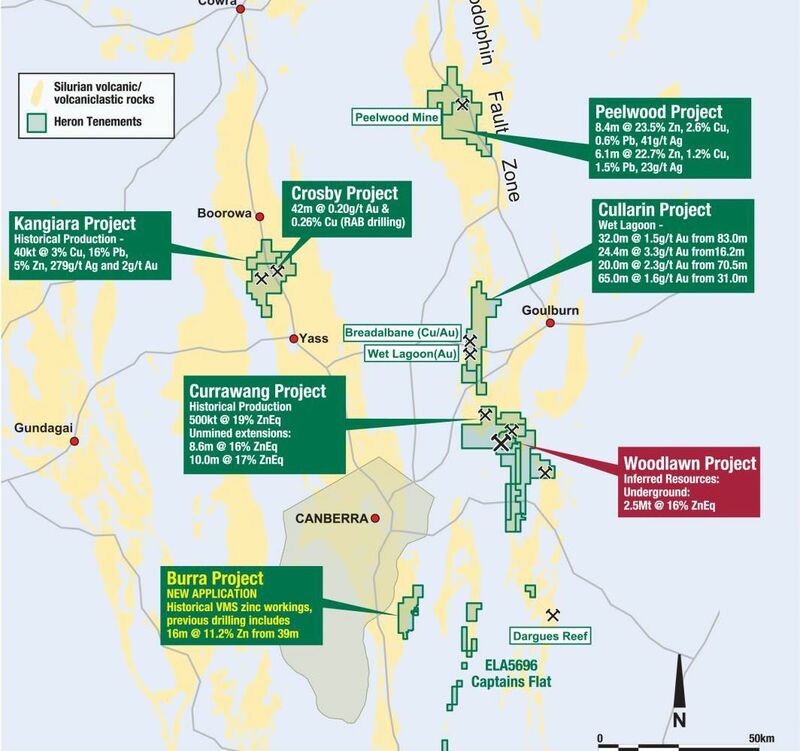 Taylor remains excited by the "in-mine potential" at Woodlawn and Heron has defined a number of exploration targets that is currently reviewing for their potential to add significantly to the mining inventory further into the mine life. One of the immediate targets is the combination of the high-grade B Extension and B Copper lenses. "The previous operations became cash starved due to other corporate issues and therefore insufficient effort was put into resource and reserve replenishment," he says. 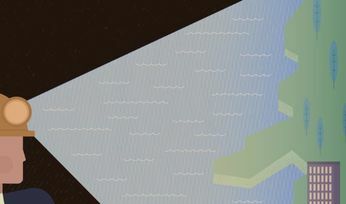 "Also, implementation of alternative mining methods accompanied by a more effective backfill method means we are able to access and recover a significantly higher portion of the orebody. "We have already made further discoveries and extended known lens positions. The historical operations mined 10 lenses. We are now at 14 lenses through discovery via our exploration activities and we would reasonably expect to find additional positions as per the success rate at other VMS deposits worldwide." Now coming up to 70% overall completion, Woodlawn remains on track to meet Heron's delivery objectives. Final major operating contracts are in place, covering tailings mining, electricity supply and concentrate logistics, and 100% of the earthworks 100%, 93% of the equipment procurement 93%, and about 90% of concrete placement has already been completed. Key fine grinding equipment - including an IsaMill - was delivered to site last month. "We continue to be guided by Sedgman on the project delivery timetable and they have held a consistent position to start commissioning in Q4 2018 which should provide us with our first product shipment in Q1 2019," Taylor says. By all accounts, that and ensuing product shipments are eagerly awaited in the market. Heron has an offtake agreement in place with Louis Dreyfus Company (LDC) Metals covering part of its zinc, copper and lead concentrate offtake from Woodlawn from the start of production until the end of 2021. The most recent metallurgical testwork on shallow G2 Lens mineralisation to be accessed first within the underground mine returned results that exceeded feasibility study met recovery rates for the three different styles of mineralisation in the production area. "Woodlawn concentrates are still remembered and therefore remain a known product," Taylor says. "We will be producing three separate concentrates with specifications tested in the market as part of our process to enter into an offtake arrangement. The highly competitive offtake process indicates the products will be highly sort after. "Zinc concentrates are expected to remain in short supply in the global marketplace, which is expected to remain tight for the next few years."